The advice fathers give to their sons comes in many forms, from clipped, world-weary truisms, to hand-on-shoulder parables. Lessons can be serious and masculine, and they can be laced with the humor of a dad who never quite grew up. 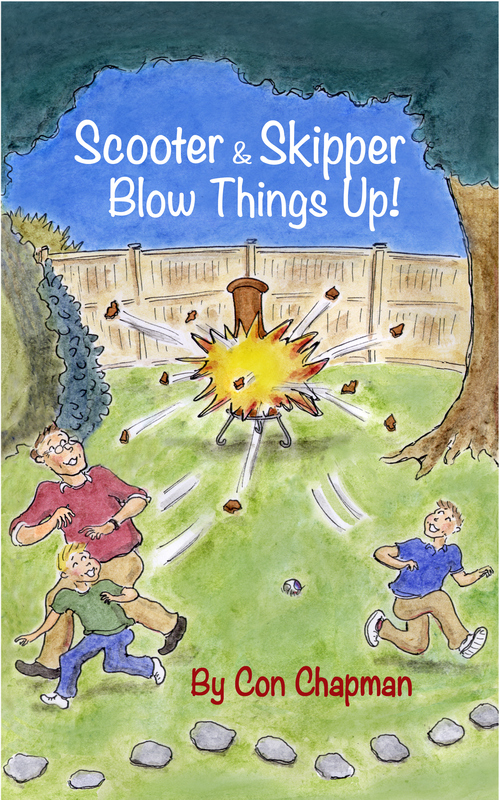 Con Chapman’s book Scooter & Skipper Blow Things Up! (HumorOutcasts Press, 2014, 112 pages) is packed with the latter. Whether you are a father or a father-to-be, or a mother or mother-to-be for that matter, this book takes you to the funny side of parenting and keeps you there. A story about how Chapman singed his hair while working in a Missouri restaurant in the mid-sixties offers a delightful dish of comic insights. For example, it was not Abraham Lincoln or George Washington who coined the well-known phrase “different strokes for different folks” but another great American: Sly Stone. A close runner up is the chapter where dad organizes an Algonquin Round Table for his sons and a couple of kids from the neighborhood, complete with soft drinks for cocktails and a kids’ version of artistic wit. 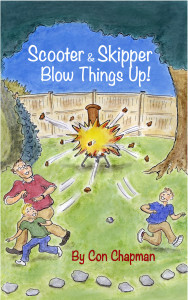 Scooter & Skipper Blow Things Up! is a rare treat: a book on parental advice that makes you laugh out loud. E. V. Erton’s career as a writer spans blogging, books and short stories, corporate communications, journalism, plays and comedy sketches, satirical essays, and TV documentaries. Possibly the best way to trace his career path is to dip a sugared-up fly with ADHD in ink, and let the insect wander around a blank sheet of paper. Comedy has long been a passion. A book of short stories and a play about George Washington crossing the River Delaware are almost ready to attract the first rejections. He would love to get involved in another comedy production and write for The Onion. He lives in Pennsylvania with his wife, two kids, and a dog called Spike who should be named Obnoxious. Yes, I use the “ignorance is bliss” tactic too! Thanks. My wife hasn’t read it yet, so I’m still married.